During the Easter school holidays the shopping centre provides a lot of entertainment for the children. Today was a public holiday in Australia. I watched a lot of TV programs for Anzac Day on National Television. Anzac Day is always celebrated on the 25th of April. In a few minutes Peter and I will go to the Dapto Station to pick up my brother Peter-Uwe and Astrid who are coming back from a week’s holiday in Cairns, Queensland. We are looking forward to spending some more days with them before they return to Germany. Recent figures from the Australian Taxation Office show that in the 2014-15 tax year, 48 millionaires paid no Australian tax at all on earnings of $110 million, but paid accountants and tax advisers over $20 million. Helen Davidson is a re oporter for Guardipublisan Australia, based in Darwin. The top police officer on Manus Island has flatly rejected the Australian immigration minister’s claim that a shooting last Friday was sparked by detainees taking a five-year-old boy into the detention centre. The regional police commander, David Yapu, told Guardian Australia Peter Dutton’s comments were completely wrong, and maintained that the shooting began when an altercation between navy personnel and asylum seekers escalated. Yapu said a young boy had gone to the centre to ask for food about two weeks ago, but he was not led there and was 10, not five. The boy’s parents had not made a complaint, and police were not investigating any link between his visit and the shooting. 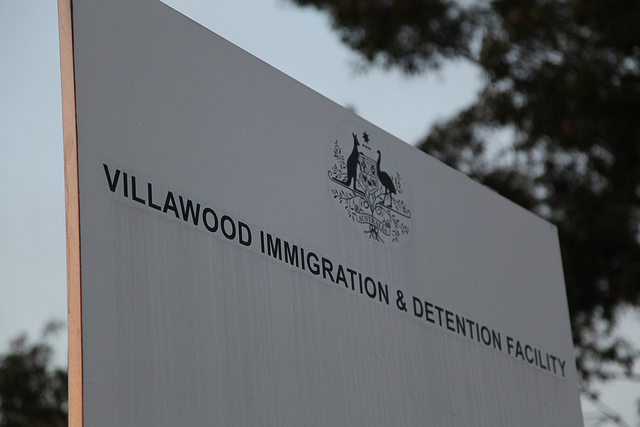 Last Friday evening multiple shots were fired at and around the immigration detention centre. Asylum seekers, refugees and centre staff cowered in rooms or ran into the jungle to escape the rampage, which Yapu blamed on “drunken soldiers”. The navy and Yapu said detainees had refused to leave a soccer field on the naval base and accused an asylum seeker of assaulting a soldier – which detainees who spoke to the Guardian denied. The situation then escalated and at least two people were injured. The navy said asylum seekers had thrown rocks and all parties acknowledged soldiers were shooting. But on Thursday, Dutton alleged the shooting occurred after local people witnessed asylum seekers leading a five-year-old boy towards the centre. “I think there was concern about why the boy was being led, or for what purpose he was being led, away back into the regional processing centre,” he told Sky News. “I think it’s fair to say that the mood had elevated quite quickly. I think some of the local residents were quite angry about this particular incident and another alleged sexual assault,” he said, while conceding he did not have “full details”. The comments formed Dutton’s only public statement on the shooting since it happened a week ago. Dutton’s account, which mirrored a witness’s statement to News Corp last week, was wrong, Yapu said. On social media detainees also disputed Dutton’s statement, saying the allegation related to an incident two weeks ago when a young boy asked for some food and detainees told him to stay at the doorway while they gathered some up. Benham Satah said several CCTV cameras would have captured the visit and called for Dutton to release the footage. “Security came to them later that night and asked what [the] child was doing and they explained and security left,” he said. The Greens senator Nick McKim told Guardian Australia Dutton had been caught telling an “outrageous lie” and should either “resign or be sacked”. “This is on top of consistent failures to protect vulnerable people to whom he owes a duty of care,” McKim said. Villawood Migrant Hostel was established shortly after the end of World War II in order to accommodate assisted migrants from Britain and Europe, including those displaced by the war. The grounds formerly comprised the Leightonfield Munitions Factory, which was replaced by a sea of pre-fabricated, corrugated iron dome structures called “Nissen huts”, with the establishment of the hostel. These basic little structures, each taking about four hours to erect, were the homes of many new migrants who arrived in Australia from 1949 onwards. Although the huts were located within a compound, the residents were permitted to come and go freely. Children attended the local schools and their parents worked in local businesses, saving their money to leave the hostel and establish new lives, usually within the local community where they were already immersed. The hostel itself was a community, complete with a post office, linen store and childcare centres. Photographs from that period show children playing cricket, posing in their school uniforms and stringing Christmas decorations from the curved roofs of their huts. A resident of the area at that time recalls strolling into Villawood regularly to play table tennis and visit mates, and another describes Villawood fondly as “a great place to arrive at in 1960”. In 1964 the hostel was home to 1425 residents and it was around this time that The Easybeats were established, which, for those too young to remember, was the Australian “It” band of their day formed by five new migrants from three different countries who called Villawood home. Asylum seekers who arrived by boat from Vietnam in the 1970s were housed with refugees who had already been granted visas. These asylum seekers were not allowed to leave the hostel while they were being processed, but processing was swift and there was no moral question hanging over their heads. There was no suspicion about whether they were “real refugees”. The Government understood why the Vietnamese boat people were fleeing, and why they were doing so as quickly as they could. In 1992, mandatory detention was introduced. The 1958 Migration Act had allowed for discretionary detention of those who arrived without a visa, and the government had been exploiting this discretion to detain the increasing number of Cambodian refugees arriving since 1989. In 1992 a number of detainees applied for judicial review of the decision to detain them. Pre-empting the result of the case, the Keating Government, with the support of the Coalition, amended the Migration Act to undercut future applications for judicial review on the same grounds. 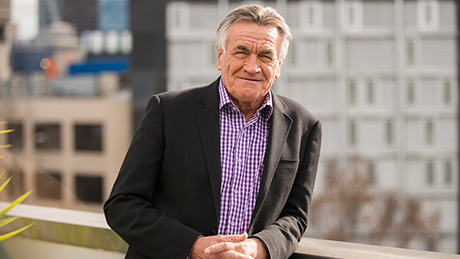 According to then-immigration minister Gerry Hand, the amendment was intended “only as an interim measure” to contain the number of Vietnamese, Cambodian and Chinese boat arrivals – yet it remains in force more than 23 years later. Hand’s fierce declaration that “a clear signal be sent that migration to Australia may not be achieved by simply arriving in this country and expecting to be allowed into the community” represents the beginning of the misguided conflation of the term “asylum seeker” with the umbrella term “migrant”, which remains to this day in the Australian dialogue. Al Jazeera has recently announced that they will no longer use the term “migrant” where “asylum seeker” or “refugee” is appropriate – we can only hope to see the media take a similar stance here. People seem to have trouble imagining an Australia without mandatory detention for boat people, but mandatory detention is relatively new. It is not difficult to imagine a future policy that acknowledges the right of a person to ask for our help, a policy that does not completely strip a human being of their freedom, dignity and hope. Malcolm Fraser’s Coalition Government dealt with Vietnamese boat people by accepting, housing and processing those who made the journey, whilst simultaneously increasing humanitarian intake in an effort to reduce the numbers making the inarguably dangerous journey. Australia’s relative geographical isolation means that we are unlikely to ever be at risk of a constant stream of boats, but the number of refugees in the world – 19.5 million at last count and ever increasing – will not decrease simply because we turn our back on them. Increasing humanitarian intake, and directing funds into rescue measures rather than punitive measures, is the way to stop deaths at sea. For better or for worse, modern Australia is a country founded on immigration of many kinds. Apart from our Indigenous population, the rest of us are descended from persons from elsewhere – convicts, refugees, those seeking employment, better living conditions, sun and sea. If we strain our imaginations, with the aid of a few sepia photographs, perhaps we can imagine creating the conditions under which human beings who have suffered incredible trauma are be able to recover and flourish. Perhaps we can imagine ridding our country of immigration detention centres and recreating, and improving upon, hostels like the old Villawood Migrant Hostel. Australia, with its boundless plains to share, could become a country renowned for its compassion instead of its cruelty. “The Gods of Money” F. William Engdahl is an American German freelance journalist, historian and economic researcher. “The Gods of Money” lecture is based on Engdahls book “Gods of Money”. The dollar financial system of Wall Street was born not at a conference in Bretton Woods New Hampshire in 1944. It was born in the first days of August, 1945 with the dropping of the atomic bomb on Hiroshima and Nagasaki. After that point the world was in no doubt who was the power to reckon with. This lecture traces the history of money as an instrument of power; it traces the evolution of that power in the hands of a tiny elite that regards themselves as, quite literally, gods-The Gods of Money. How these gods abused their power and how they systematically set out to control the entire world is the subject. He was supposed to get the second treatment today, but it was cancelled because a ‘bug’ was found in his urine. The doctor told Peter, that it was a very unusual bug. When Peter asked him, should he be worried, the doctor said no, that ‘this unusual bug was very common’. Peter still does not know, what sort of bug it actually is. But he has to undergo now a 14 day treatment with antibiotics. So his next treatment with BCG is now scheduled for in three weeks. Some of us arrived early for the Minnamurra Rainforest Walk. We waited for the others at the reception centre. I better not go down here! All of us did the Loop Walk. Some went a bit further up before they turned back into the Loop. My brother Peter and Astrid went the furthest. I waited for them in the reception. Here Astrid and Peter-Uwe return from their walk. For lunch all of us gathered at the Picnic Area. Peter carries an Esky full of fruit to the Picnic Area. Little Alexander found a little Easter Egg. Alexander and Lucas found quite a few more little Easter Eggs and shared them with all the adults! That was after a delicious lunch with filled Bread Rolls provided by Monika and Ebony. We were also treated with coffee from the cafeteria. The kids did get some Ice-Cream from Uncle Troy. For Afternoon Coffee and Cake we were home again.